These Great Beads Where cut for me. The Paint came from for Ford Plant in Dearborn Michigan, so Ford, Lincoln and Mercury Colors. 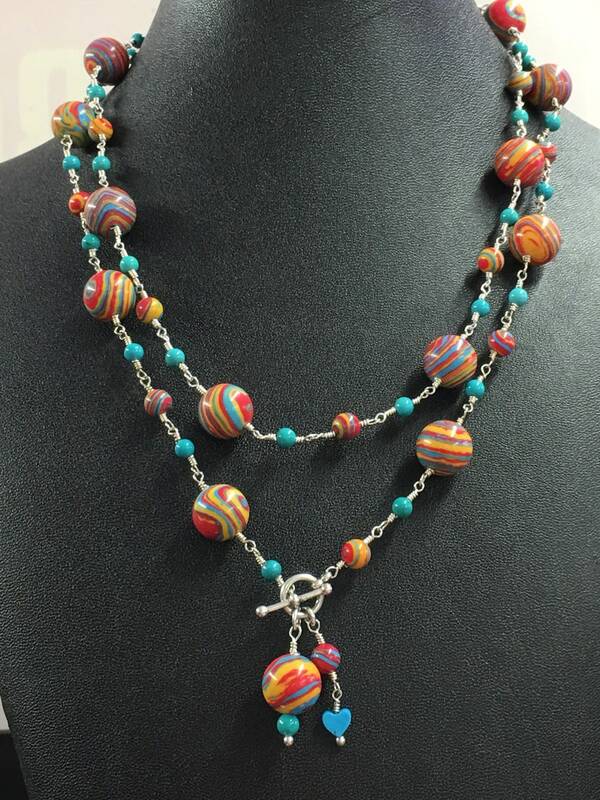 I love working with Sterling wire and putting together this Fordite Necklace was a lot of fun.